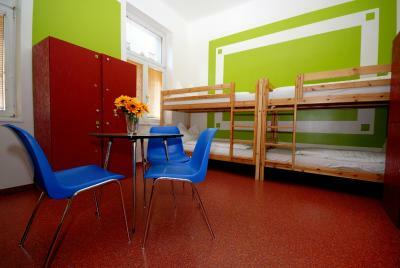 Lock in a great price for Westend City Hostel – rated 8 by recent guests! The staffs were very welcoming. There was a clean room, toilet, nice roommates. The location was pretty amazing. It was just 3min-walk from the nearest MRT station. 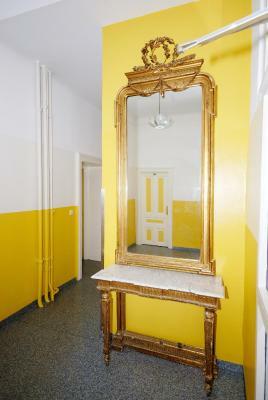 Location in Vienna is great at a price, which is OK. The location is great, literally two minutes away from one of the biggest metro stations and also pretty close to the central square on foot. 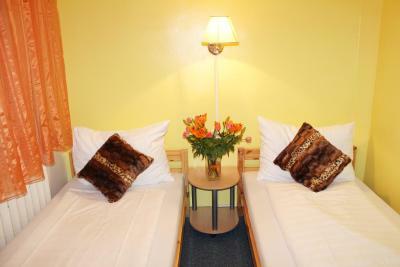 The room was really clean, the bathroom too, the beds comfortable, and the staff helpful. All in all, a great value for the price. All the staff were friendly. The location is good,near to everything. The stuff are really good and friendly. The bed and pillow is ok. 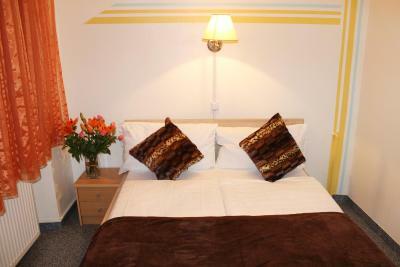 Spacious rooms with bathroom ensuite. They kept it clean, the bathrooms were cleaned every day and it showed! Comfortable bed and pillow. Nice kitchen/community area, though fridge and cooking space are extremely limited. Free tea and coffee and breakfast included! Friendly staff. It is a huge hostel but it didn't feel like it was crowded ever, but it also didn't make for meeting people easily outside of your room. Location is great and staff was friendly, it's very good value. There's no additional fee for sheets, which were nicely ironed. 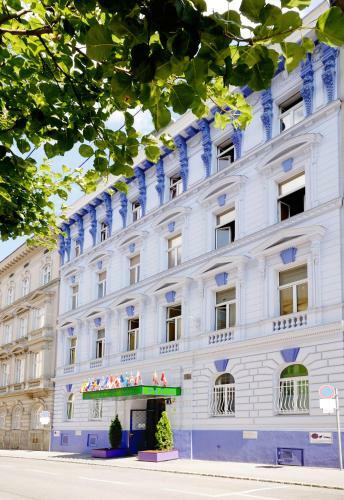 In a renovated historic building dating from 1876, this modern hostel is just 150 feet from the Mariahilfer Straße shopping street and a 5-minute walk from the U3 and U6 Westbahnhof subway station. 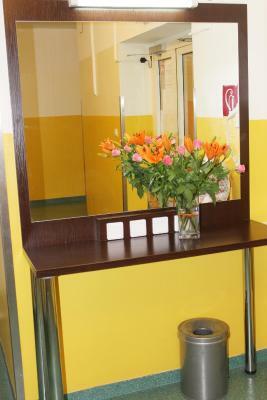 It offers free Wi-Fi in public areas and grounds with a sitting area. 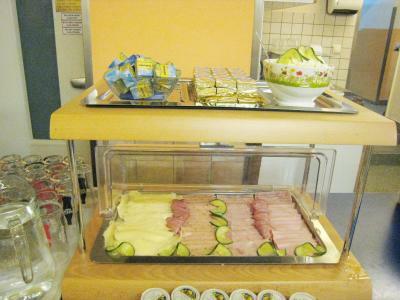 A breakfast buffet is available every morning at Westend City Hostel. 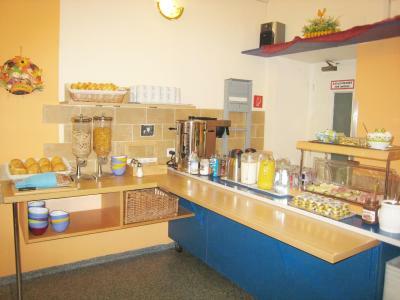 There is also a shared kitchen, a coffee maker, and a vending machine, as well as a washing machine and a dryer. 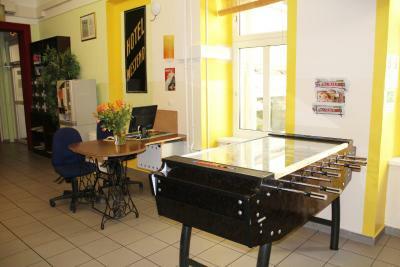 In the common area, guests can watch satellite TV and play foosball. The 24-hour front desk provides free city maps and brochures. 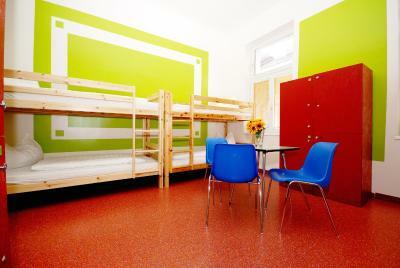 City Hostel Westend’s simply furnished rooms feature a sitting area. Bathrooms are private or shared. A children’s playground is 350 feet away. 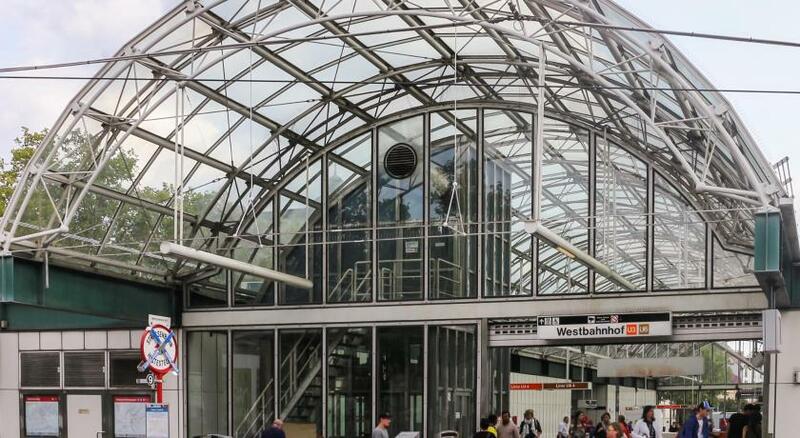 The center of the city is a 20-minute walk away, or 3 stops away on the U3 subway line. Garage parking is available around the corner. 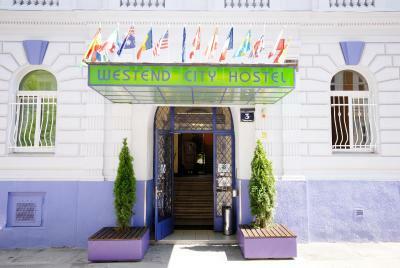 When would you like to stay at Westend City Hostel? 1 bed in a dormitory room with 4 bunk beds, a seating area, a desk, private lockers, and a bathroom. This room is not suitable for children. 1 bed in a dormitory room with 5 bunk beds, a seating area, a desk, private lockers, and a bathroom. 1 bed in a dormitory room with a seating area. This dormitory room has a seating area. 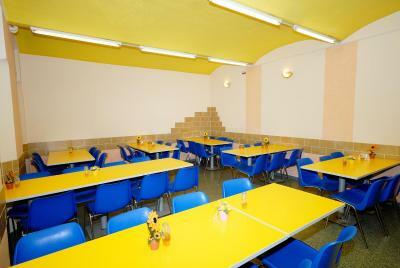 Vienna´s charming independent youth hostel is the perfect venue for all young visitors. The perfect place to stay for backpackers, Groups, families and business travelers. We warmly welcome you with an international team from Austria, GB, Poland, Iran, Turkey, Italy, Serbia, Bulgaria. 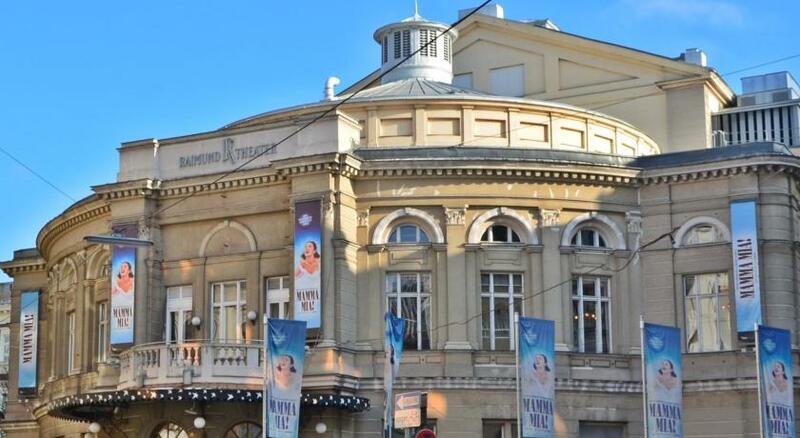 House Rules Westend City Hostel takes special requests – add in the next step! Westend City Hostel accepts these cards and reserves the right to temporarily hold an amount prior to arrival. 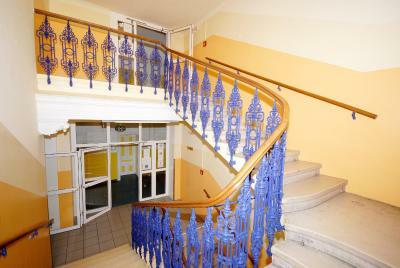 Please contact the property in advance if you expect to arrive outside reception opening hours. Otherwise your check-in cannot be guaranteed. Contact details can be found in the booking confirmation. Please inform Westend City Hostel of your expected arrival time in advance. You can use the Special Requests box when booking, or contact the property directly using the contact details in your confirmation. The power plugs weren’t closed to the bed so the only option was to charge the phone near the door. The WiFi connection was absolutely terrible. The bathroom lamp in my room (3A) was off so I had to take my phone to the bathroom for light. The wifi is often disturbed so I had to refresh it several times. I hope that the hostel can also provide curtain to close the bedroom because sometimes there are (not the hostels fault) other guests that were very disturbing. In the late evening, there was noisy outside the room when someone came back his room nearby. The price is a little high, compared with other similar hostels. The room I booked was for female only, but when I stayed here, there was a male inside the room. The room is clean, and the private bathroom is nice as well. Near the train, bus and metro station, so you can go to anywhere you want. The hostel is also next to the street for shopping. No gender specific dorms. We were two female students in a 6-person dormitory. On the 2nd night they put 4 middle-aged men in our dorm, sharing one toilet and shower. Very uncomfortable, and we were given no heads up. There were plenty of young college-aged people in the dorm, so they could have put some effort into better matching up their guests in dormitories to avoid discomfort. The hostel has a great structure, with lifts, helpdesk, refrigerator machines, etc.. Looks like more to a hotel than a hostel. The staff was very helpful as well. One of the guy who work at the reception was very kind and speak Portuguese clearly. 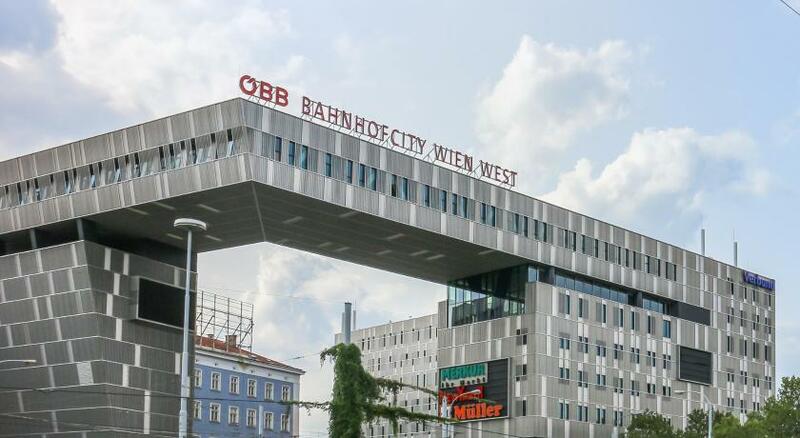 The place has easy access to all the places around Vienna. It is clean and comfortable. Payment cash only in 2019, strange policies, breakfast not free if coming from Booking and free for others. When you pay deposit for the key and when you get "clean sheets" you expect clean, but i found i lond dark haira nd pillow case that had dried blood stain.. Sockets are near the door so bring a extension cord. The kitchen on ground level was basic while chef Mike(microwawe) does all baking. Location near the city center, good WIFI. 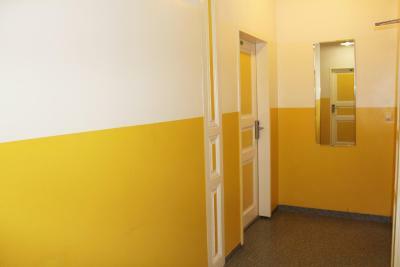 Clean bathrooms, shower.Near the hostel there is Travel Shack Vienna where all genders young and elderly can hang out. Near hostel there are good Bosnian and Croatian bakeries. Perfect location and very nice staffs. The people with who I shared the room were also very friendly and nice. Well, where to start... First - cash only, even if on Booking.com you can find info that all credit cards are accepted. Second - additional fee for awful bedding (2 EUR) - and you have to put it on and off yourself... Also, you cannot rent a towel or padlock - you can only buy them for another 5 EUR. There are two sockets for the whole 8-bed room - near the door, so it is impossible to use them from any bad. WiFi is almost impossible to use - too slow, disconnecting and reconnecting all the time. There is no proper kitchen - only small fridge, sink, electric kettle and microwave. Corkscrew and knife are on cord - I guess to not steal them?!?! Common space is a joke - please see the attached photos :D The staff is too serious, unfriendly, stiff. This is the saddest, least cozy hostel I have ever been in. 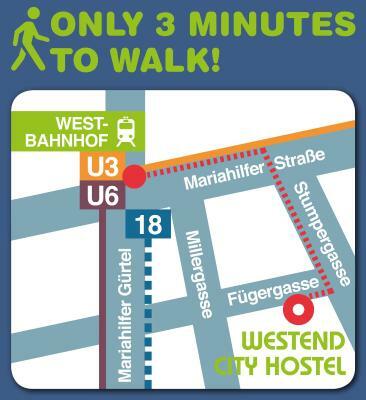 The only good thing about this hostel is location - very close to Westbahnhof U3 metro line, which is very convenient (without change) if you need to go to Erdberg Bus Terminal, as well as the old town in walkable distance. Room was clean, as well as the bathroom. And that is pretty much all.